Please note: Bookings during high season (July and August) are weekly, from Saturday to Saturday. Shorter bookings might be possible in low season. Thank you. We will get back to you regarding your enquiry within 24 hours. 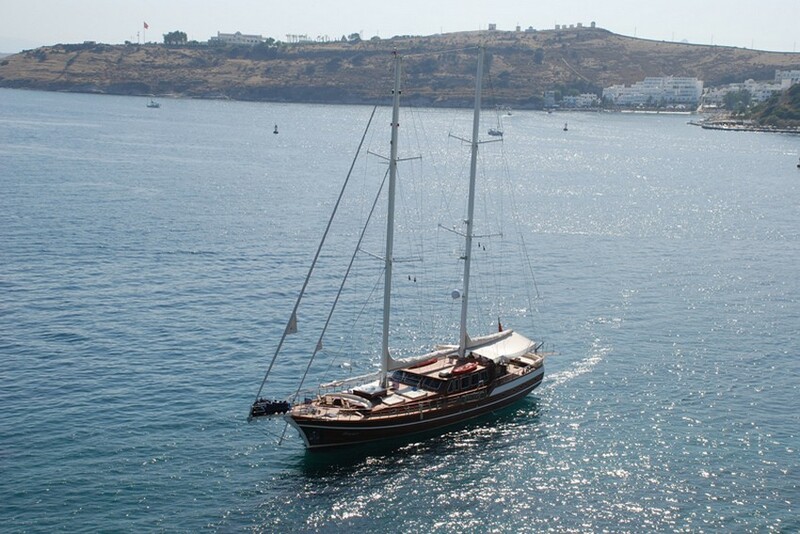 Gulet Grace is a stylish and elegant gulet with an attentive crew. 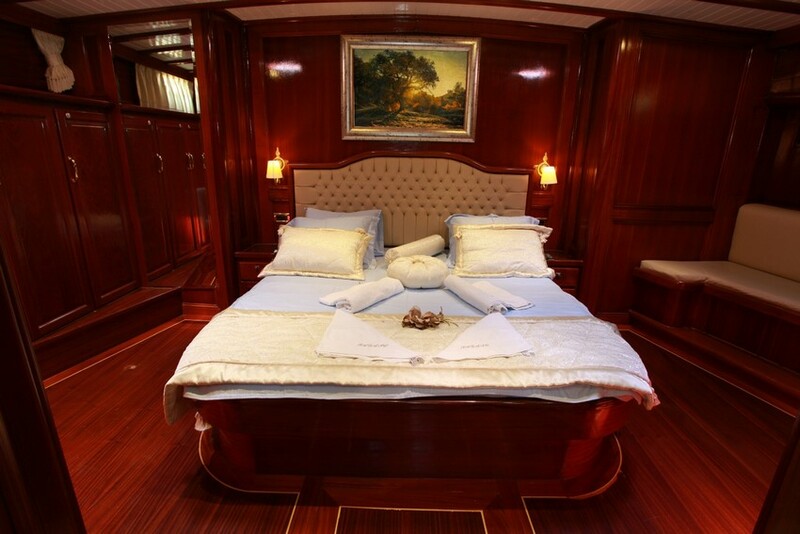 Built for quality and designed to a high degree throughout, this is a comfortable and luxurious yacht with great facilities. 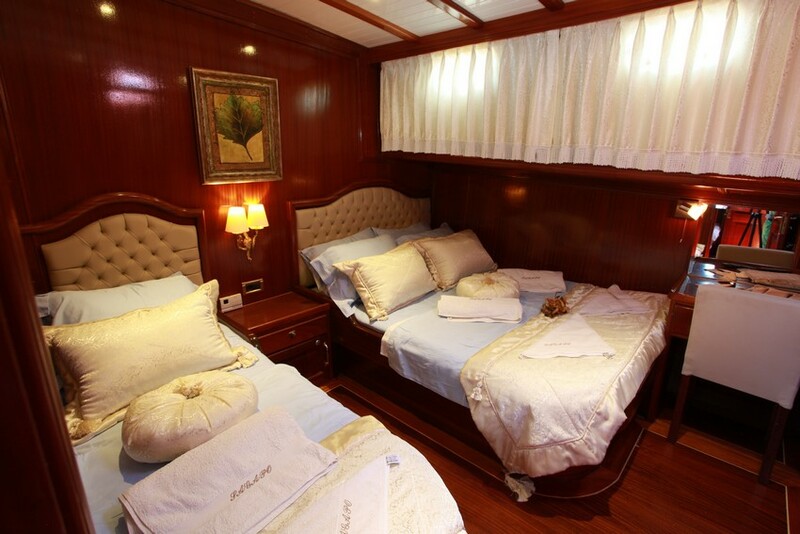 Cabins: 2 masters, 2 doubles, 2 twin cabins. 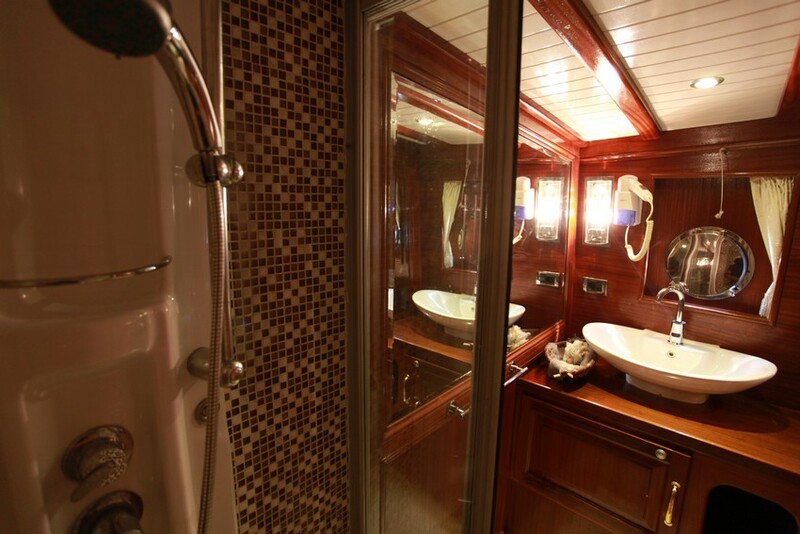 Cabin Facilities: A/C, en-suite bathroom. 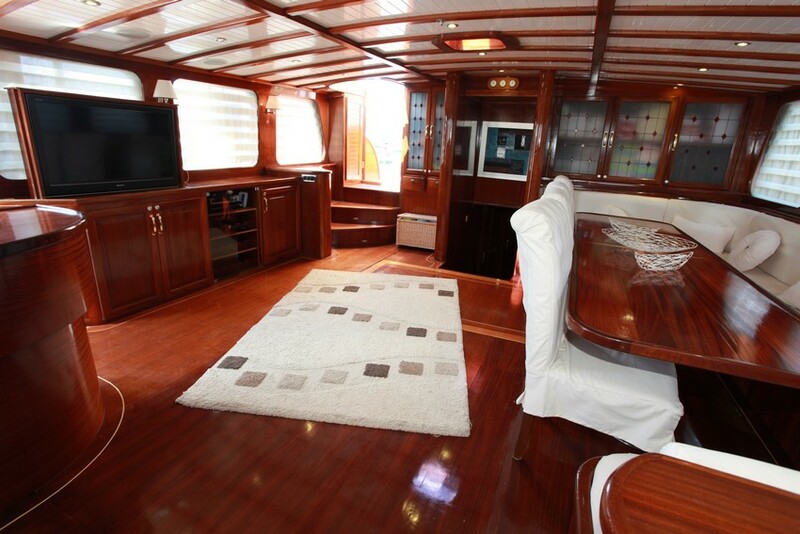 Saloon: Dining table, TV, DVD player, music system, Wi-Fi. Electricity: 12v, 24v, 220v. 24 hours phone/laptop charging facilities. Water Toys: Sea kayak, water ski (adult and child), banana, ringo, snorkelling equipment, fishing tackle, tender Mercury 90 hp. On Board: Board games, playing cards. All food is prepared by the chef and served by the crew. Please visit Food & Drink for more information on your options and the cuisine. 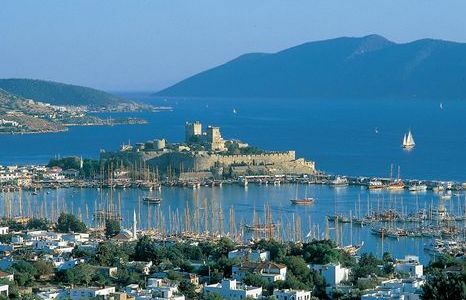 With culture, history, nature and nightlife, it’s no surprise that Bodrum is one of the most popular holiday resorts in Turkey; there’s something to please everyone. The town’s distinct white houses nestle in the slopes that lead down to the harbour. The marina is filled with hundreds of gulets made by the expert local boatmakers. And nearby, the impressive Bodrum Castle is backed by cool winding lanes that lead through to the beach. 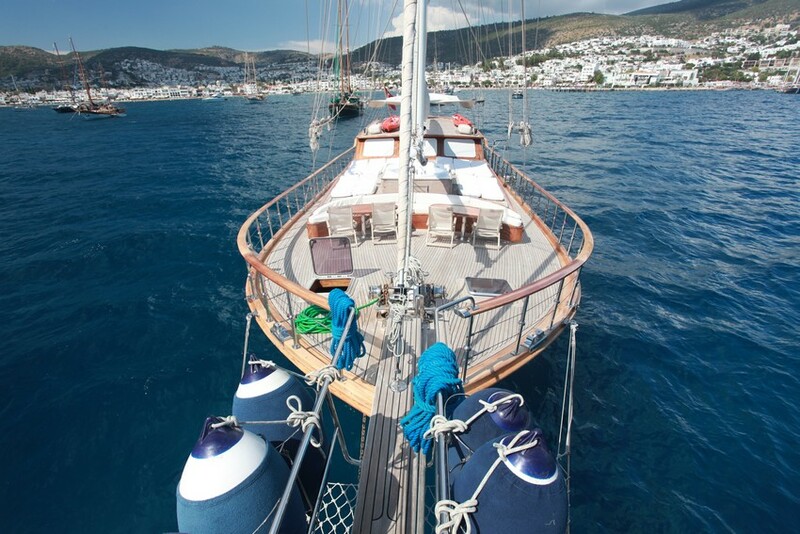 When you start a blue cruise from Bodrum you can go in almost any direction and find a gem. 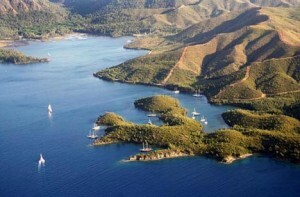 In the beautiful Gulf of Gökova , visit the legendary Cleopatra Beach and swim in the turquoise Orak Island. In the peaceful Gulf of Hisarönü, see the night sky reflected in Bencik cove and walk on water in Kız Kumu. Bodrum is also the starting point for island-hopping trips to Greece, which can take you to Santoríni, Mýkonos and Rhodes. 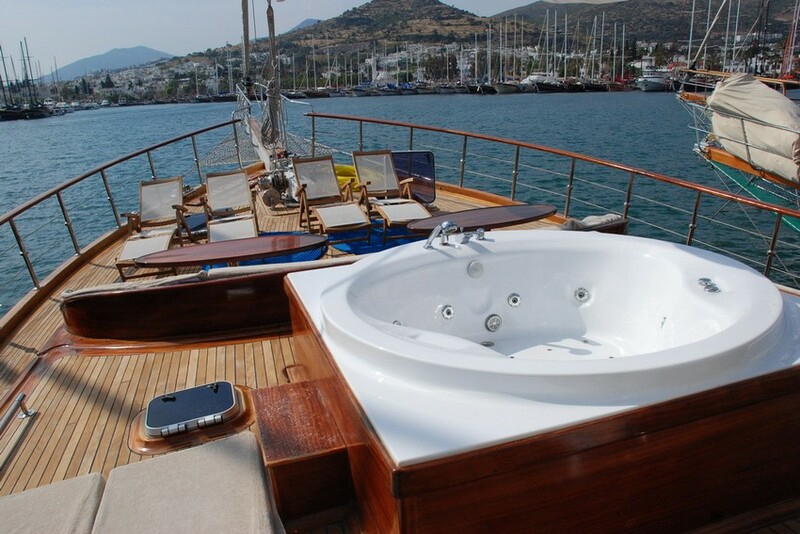 You can reach Bodrum from Bodrum Airport in 30 mins and we can organise transfers. Visit Airport Transfers to find out more. Our suggested routes from Bodrum are as follows, but if you have your own ideas please feel free to contact us. According to legend, Cleopatra Island was the secret meeting place of Antony and Cleopatra and it is said that Antony brought white sands all the way from Egypt to please his lover. While according to science, the sand on Cleopatra Beach is produced by particular geological reaction and is only found in two places in the world. Whichever story you prefer, the sand is unbelievably soft and the pure white colour makes it an excellent spot for snorkelling. Furthermore, Cleopatra Island (also called Sedir Island or Cedar Island) is the site of the ancient city of Kedriai and you can also see the theatre, agora and ruins. 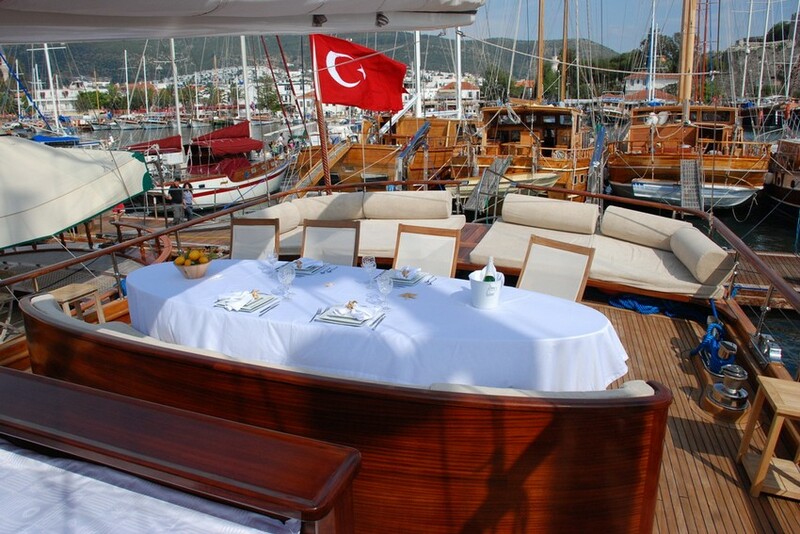 Visiting the island costs 15 Turkish Lira and is on the Bodrum – Gokova route. During the Second World War, British ships were concealed in this natural harbour and it’s this that gives the cove its name. Nowadays, English Harbour is an extremely quiet and peaceful village. A beautiful cove, surrounded by pine trees, you can swim in the clear waters and enjoy getting in touch with nature. 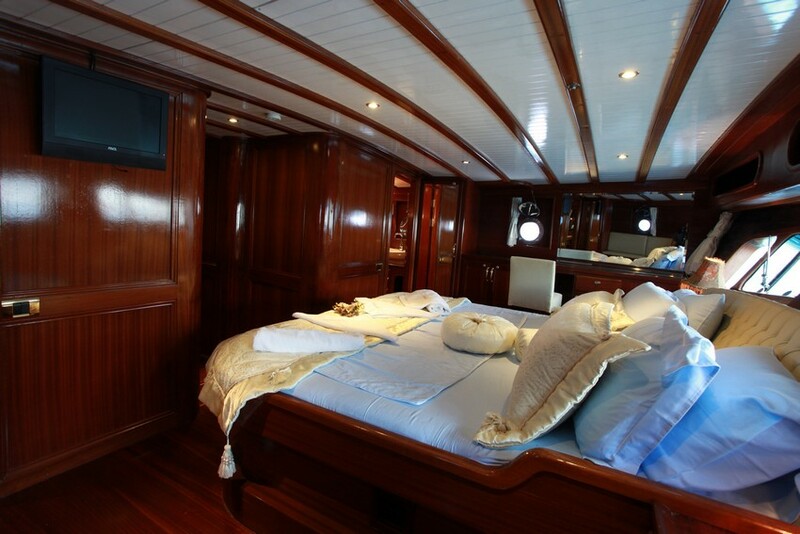 In the evenings, it’s particularly spectacular as the moon and stars reflect of the calm waters. 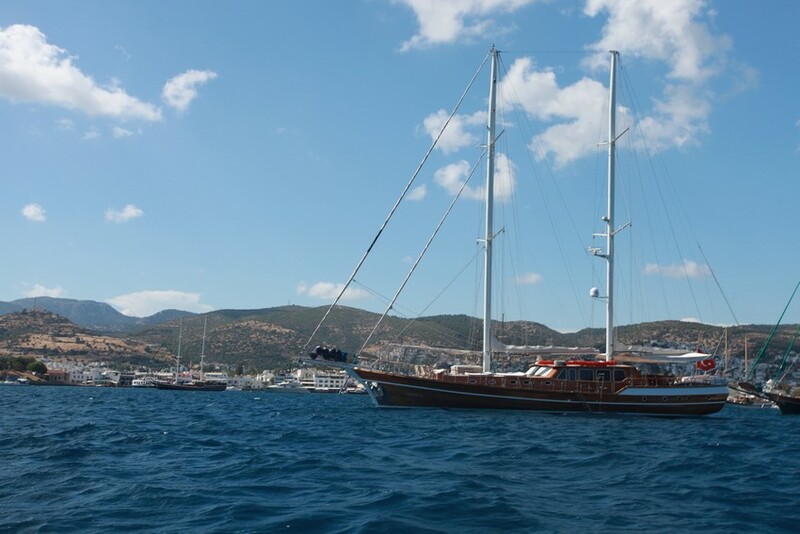 Visits to English Harbour are part of the Bodrum – Gokova route. The Cyclades Islands are the best island-hopping destination in Greece and one of the jewels in the crown is Santoríni. Inspiration to poets and the kind of place where every photo you take looks like a postcard, you can’t help but fall under Santoríni’s spell. And if the day doesn’t impress, we guarantee that the sunset will; the Rough Guide’s no.1 ‘Thing not to miss’ in Greece is sunset in Santoríni. 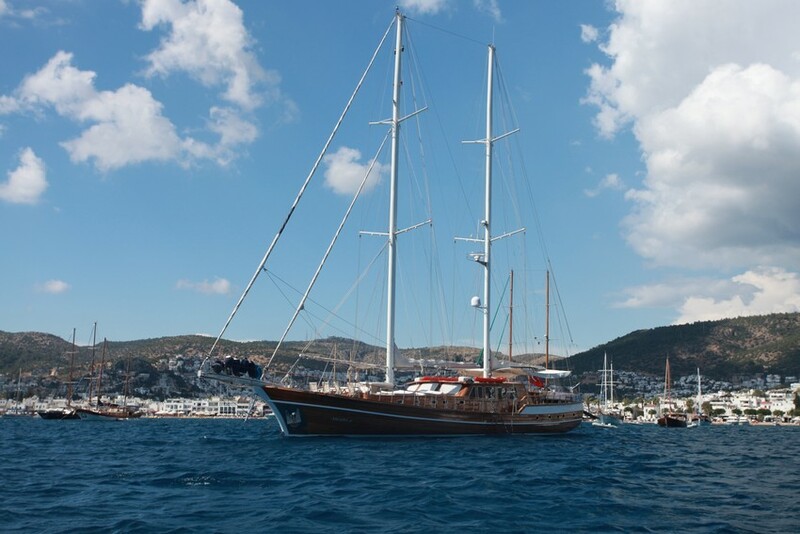 Available to visit on the Bodrum – Mýkonos route. 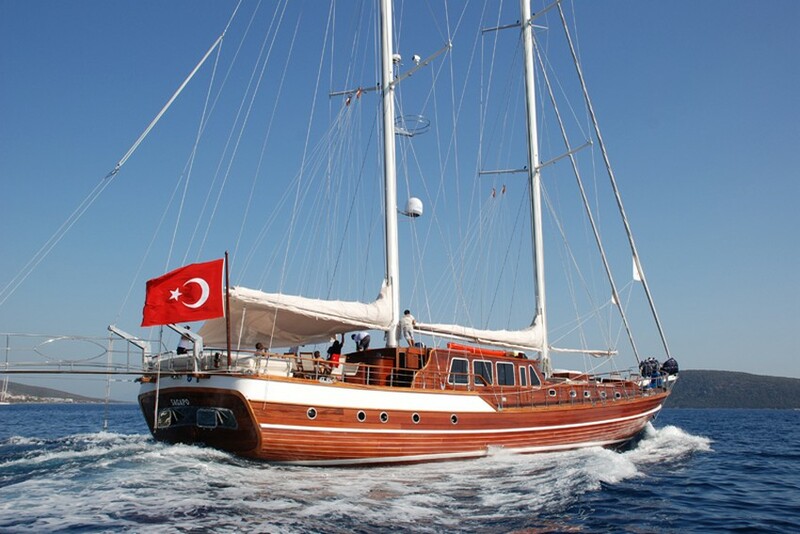 Gulet Grace is a stylish and elegant gulet with an attentive crew. Call us on the number below to speak to one of our advisers who will help you with all of your holiday needs. 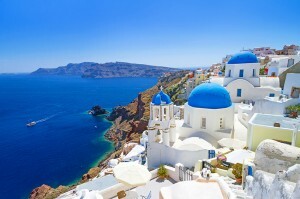 We are a UK based company with a specialist knowledge of the Eastern Mediterranean and we are fully ATOL protected. No automated phone lines. 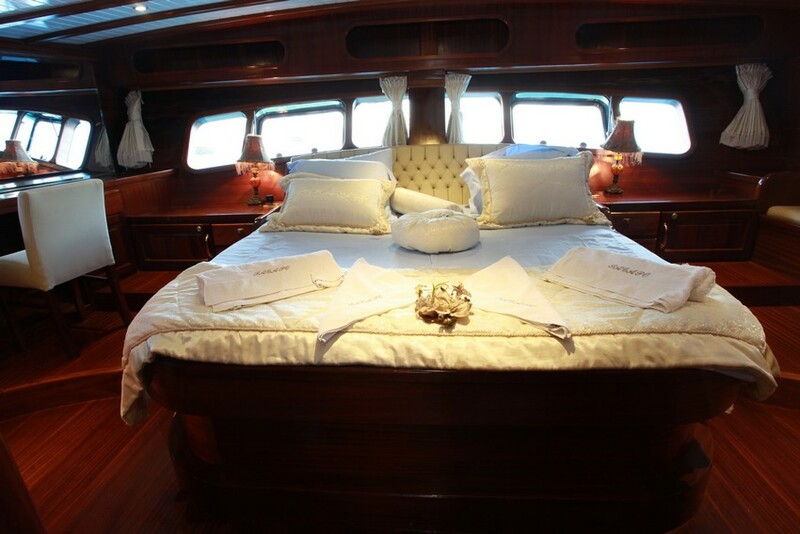 A personal service which allows for flexibility and tailor made holidays! 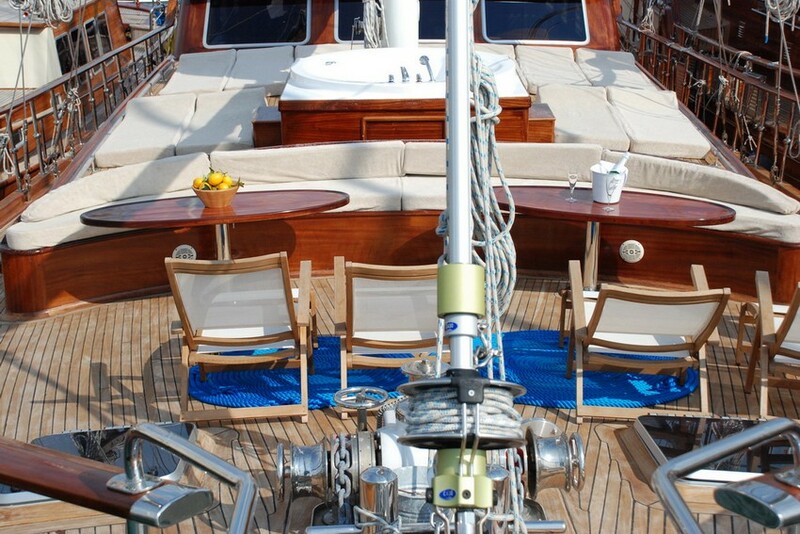 All the yachts we offer have been seen and checked thoroughly for your safety and comfort by our expert team. Sign up to our newsletter to receive offers! All the flights and flight-inclusive holidays [in this brochure] [on this website - as appropriate] are financially protected by the ATOL scheme. When you pay you will be supplied with an ATOL Certificate. Please ask for it and check to ensure that everything you booked (flights, hotels and other services) is listed on it. Please see our booking conditions for further information or for more information about financial protection and the ATOL Certificate go to: www.atol.org.uk/ATOLCertificate. 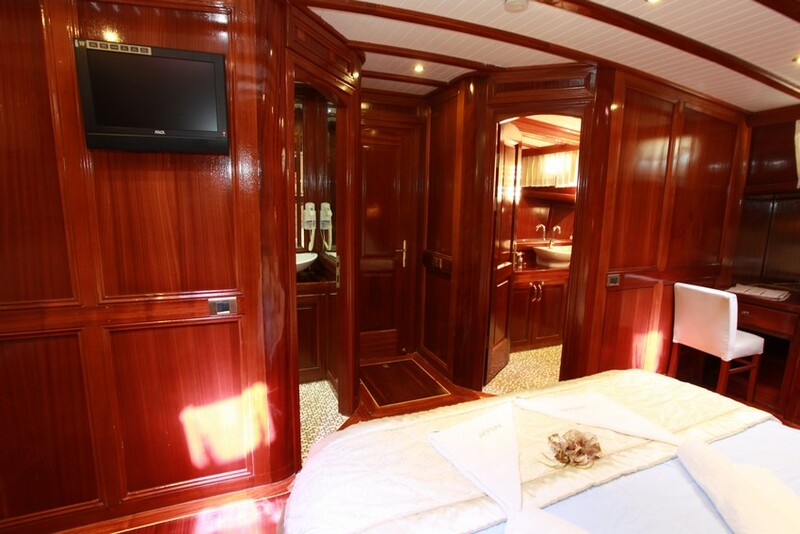 Disclaimer: The particulars on this website are a general guide to give a broad description of the yachts. They are not intended to constitute part of an offer or contract. 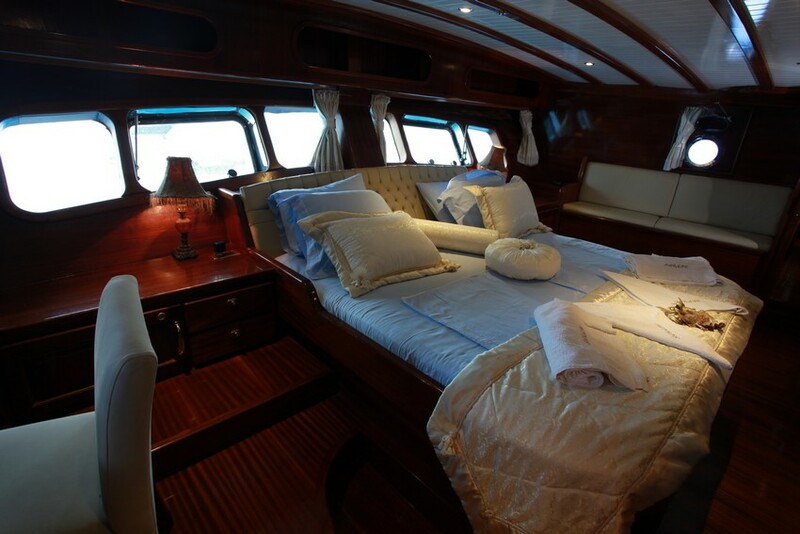 The yacht specifications, images and prices are displayed in good faith and, whilst believed to be correct, are not guaranteed. 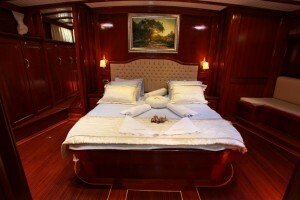 All yacht information (including prices) is subject to change without notice and is offered without warranty. 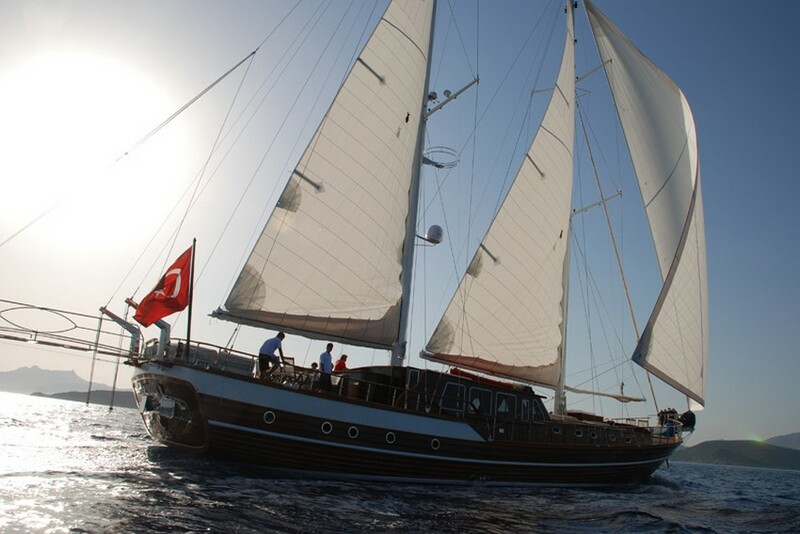 © Gulet Escapes Limited All rights reserved.